With the help of staff members, West Deptford Middle School student Nic Uff put together an epic music video to Justin Timberlake's hit song "Can't Stop the Feeling." WEST DEPTFORD, N.J. (WPVI) -- When a group of Gloucester County 8th-graders graduated Wednesday, they were treated to a big surprise, courtesy of a very creative teenager and some very accommodating adults. 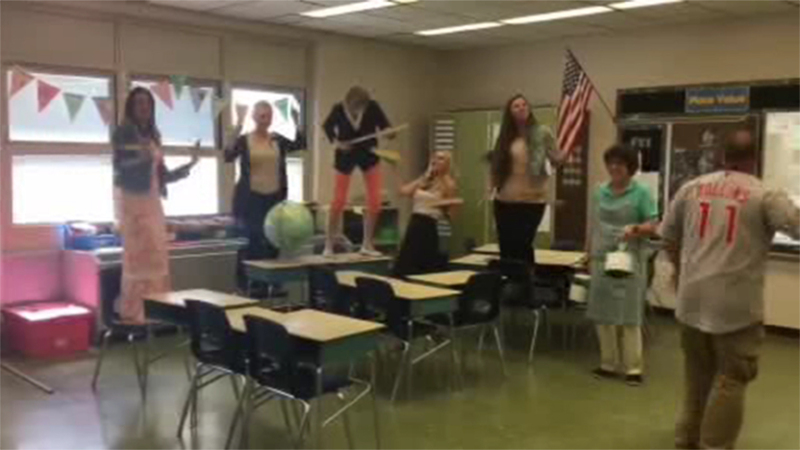 With the help of staff members at West Deptford Middle School, high school student Nic Uff put together an epic music video to Justin Timberlake's hit song "Can't Stop the Feeling." The 7-minute long dance party was shot over several days and features everything from choreographed routines to cafeteria conga lines.